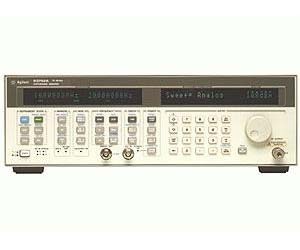 The Agilent 83751B sweeper brings outstanding synthesized performance to the component-test marketplace. It delivers the best performance for the price in general purpose benchtop, swept test or scalar applications. This sweeper provides superior accuracy and stability while maintaining the speed of an analog source. Fully synthesized CW, stepped and ramp sweep modes are available in broadband and narrowband operation.